Gear-spinning good times roll at Walt Disney World Resort, where car lovers can experience auto-themed attractions and shows, climb behind the wheel for a high-octane thrill ride and even settle back for a meal in a setting reminiscent of a time when families watched motion pictures from a cozy car seat. “Lights, Motors, Action! 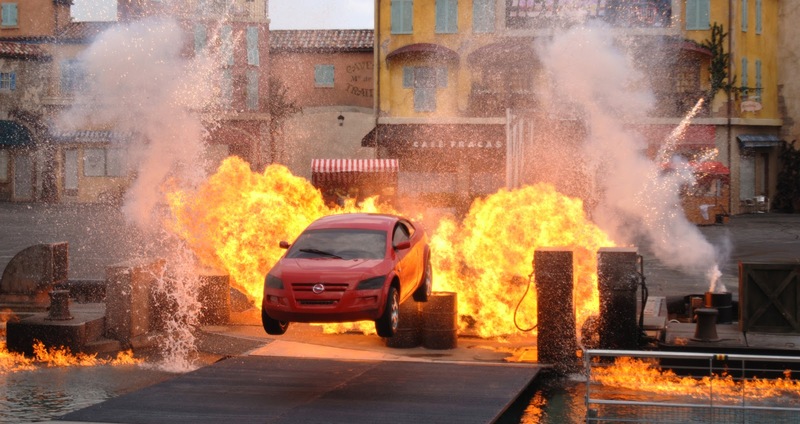 Extreme Stunt Show” – This fast-paced show takes Disney’s Hollywood Studios guests behind the scenes of big-budget movies to spotlight the high-octane best of the movie industry’s stunt masters — including precision driving, edge-of-your-seat jumps, pyrotechnics, high-speed spins and plenty of surprises. The extravaganza sends cars, motorcycles and watercraft careening and jumping across an enormous, 177,000-square-foot outdoor stunt arena themed as a Mediterranean village movie set. Even the star of “Cars” and “Cars 2,” Lightning McQueen, gets in on the action. New from Petty Holdings is another dream opportunity, the Exotic Driving Experience – Exotic Driving Experience features supercars by Ferrari, Lamborghini, Audi and Porsche and welcomes car buffs to experience the awe-inspiring acceleration, speed and handling of these high-performance driving machines. 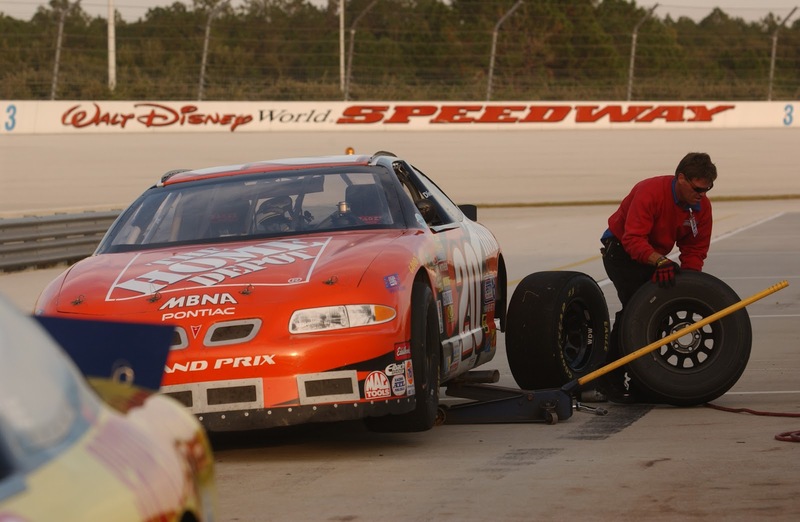 Following an interior road course-style section at Walt Disney World Speedway, drivers can get behind the wheel for six laps around the circuit (prices start at $199) or opt for thrill rides with a professional driver behind the wheel ($99). Reservations can be made at www.exoticdriving.com or by calling 855/822-0149. Feel the Need for Speed (at 7.5 miles per hour) – It may not be the fastest ride at Walt Disney World Resort, but Tomorrowland Speedway lets young hopefuls and seasoned veterans take turns around the Magic Kingdom’s half-mile track at a whopping 7.5 miles per hour. One of the popular Magic Kingdom attractions that debuted on the theme park’s opening day in 1971, Tomorrowland Speedway welcomes drivers and riders (adults and children) to replicas of landmarks made famous by Indianapolis Motor Speedway, including the famed Yard of Bricks and Gasoline Alley. Through the years, the attraction has been home to many first-time drivers, with many guests climbing behind the wheel of the colorful, scaled motorcars long before taking the wheel of a full-sized automobile. Test Track Presented by Chevrolet (Dec. 6, 2012) - Guests will be immersed in the fascinating world of automotive design when Test Track reopens – re-imagined from GM Test Track. Amid upbeat music, engaging media, dramatic lighting and a collection of Chevrolet concept cars and model vehicles, guests themselves will become automotive designers – and peer into the future of personal transportation in the process. 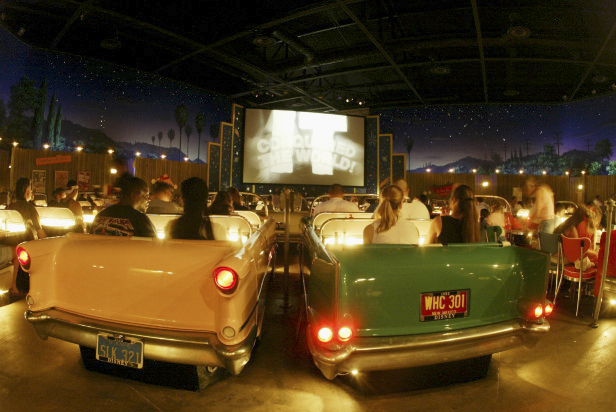 Just Eat in the Car, Under the Stars – Cars and film combine at Sci-Fi Dine-In Theater Restaurant, a drive-in movie-inspired eatery inside the Disney’s Hollywood Studios theme park. Diners sit in vintage-style cars as fiber-optic stars twinkle overhead. The theater’s movie screen shows outrageous sci-fi movie clips as servers journey from car to car dishing out classic American cuisine. The 1950s-themed restaurant is open for lunch and dinner, and guests can arrange reservation times by calling 407/WDW-DINE. “Cars” Wing at Disney’s Art of Animation Resort – Now, Walt Disney World Resort guests can not only play among the cars, they can stay among the Cars – as in the animated feature films from Disney-Pixar “Cars” and “Cars2.” Movie-inspired accents anchor the Cars wing of Disney’s newest value resort. Lightning McQueen, Mater, Flo and other popular Pixar characters inspire exteriors and interiors of the family suites property. Radiator Springs, with its own memory lane of car “faces” parked along the road, evokes memories of small-town America. There’s even backdrops of Luigi’s Casa Della Tires, Tow Mater Towing and the Wheel Well Motel to complete the scene. 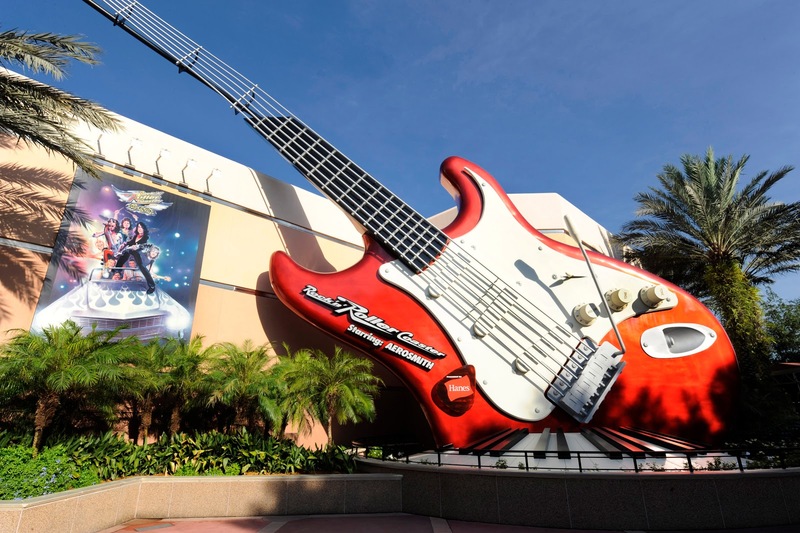 Speed Thrills on Car-Themed Coaster – A wild, stretch limousine ride through the Hollywood Hills provides guests high-speed thrills aboard Rock ‘n’ Roller Coaster Starring Aerosmith, an indoor roller coaster in Disney’s Hollywood Studios. The legendary rock group Aerosmith teamed with Walt Disney Imagineering to create a one-of-a-kind coaster that features a high-speed launch (0 to approximately 60 mph in 2.8 seconds), three inversions, rock-concert lighting and a customized Aerosmith soundtrack thundering from 120 onboard speakers in each train. Each coaster train is constructed to resemble a super-stretch limousine, complete with headlights, taillights and a trunk. 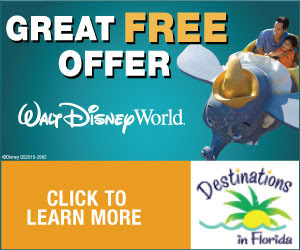 For more information about Walt Disney World Resort or to book a vacation, guests may visit www.disneyworld.com.